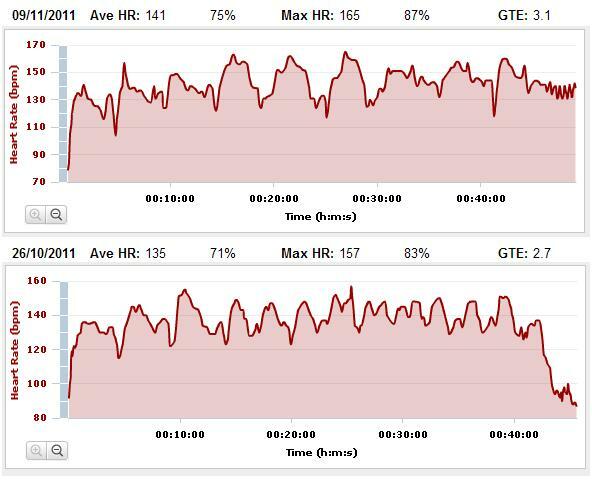 Wednesday morning was circuits with Gill again at Bellahouston. Last week I decided to up the game a little and changed the circuits so that instead of doing 3 x 4 exercises, we’d do 2 x 8 exercises. 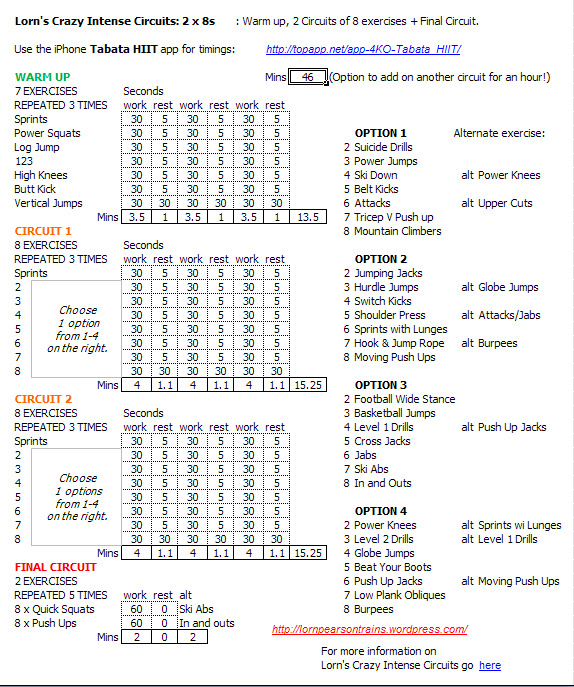 Here’s the excel version of my circuits, and a jpg of the various exercises you can do for a 50 minute circtuis class. 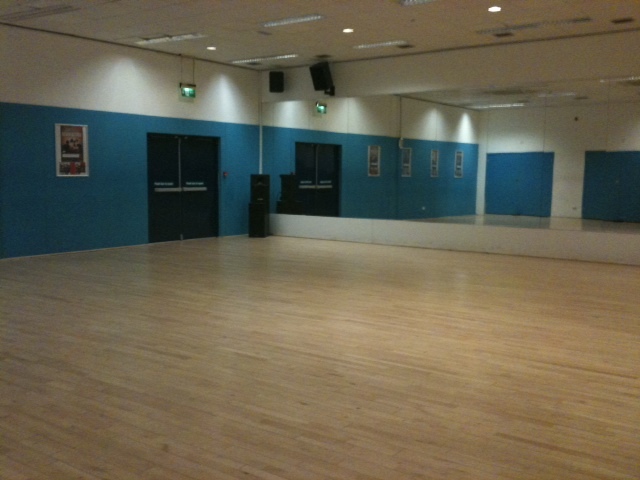 This entry was posted in Circuits and tagged bella, bellahoutson, circuits, dance studio, sprints. Bookmark the permalink.